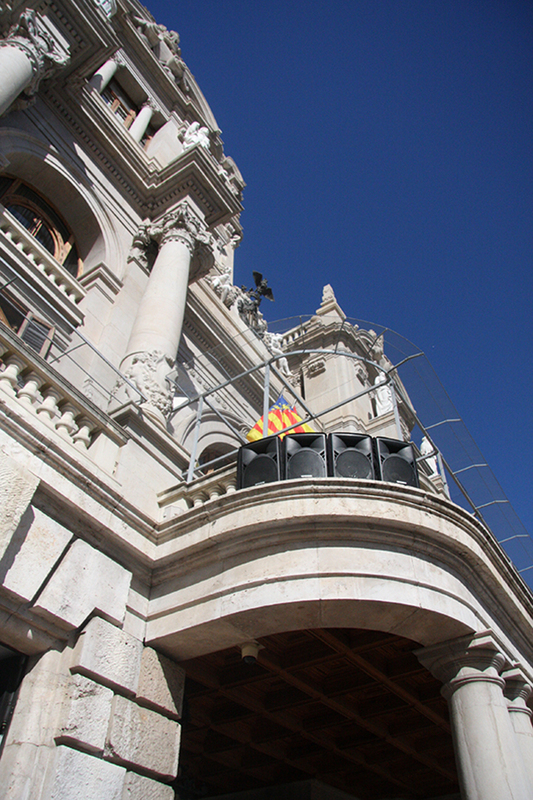 The speakers Work Pro WPL 5A have been installed at different points of the city square and other areas of Valencia to provide different activities audio system fallers. From 15 to 19 March held in Valencia one of the more popular and tourist festivals failures. In addition to the name of the party, also is designated with the name failures to thousands of monuments that rise both in the city and in the municipalities of the province and, with satirical, dealing with issues of today. 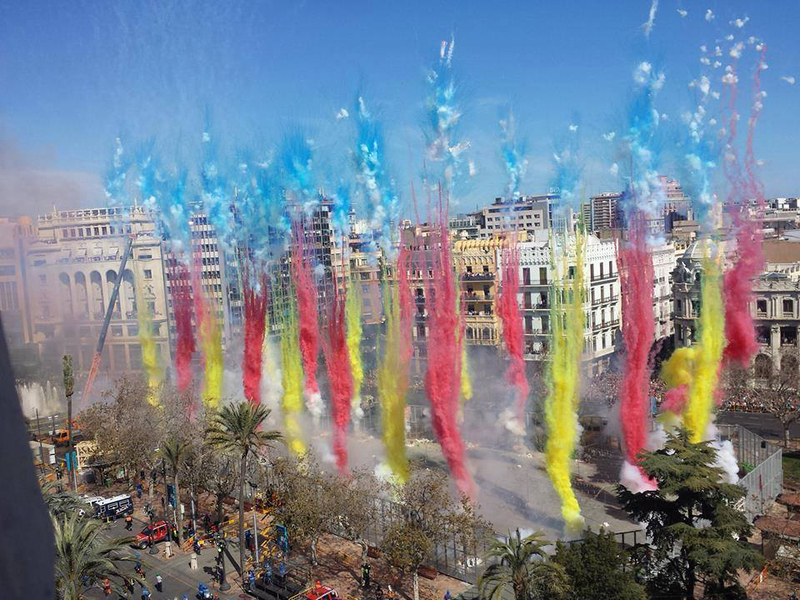 One of the Central events of the festivities Fallas that arouses more interest are mascletás, celebrated from March 1, in the Plaza del Ayuntamiento of Valencia, nerve center of the city of Valencia. A fireworks display is a fired pyrotechnic which forms a very loud and rhythmic composition. PA towers, responsible for the scoring of this event, chose the speakers WPL 5A of Work ProWhose products distributed Equipsonto install in different parts of the Plaza del Ayuntamiento and in other areas of the city of Valencia where there are various activities fallers. The facility consists of 8 speakers Work Pro WPL 5A, located on the same balcony of the Town Hall, next to two stages SP MAX 3600. 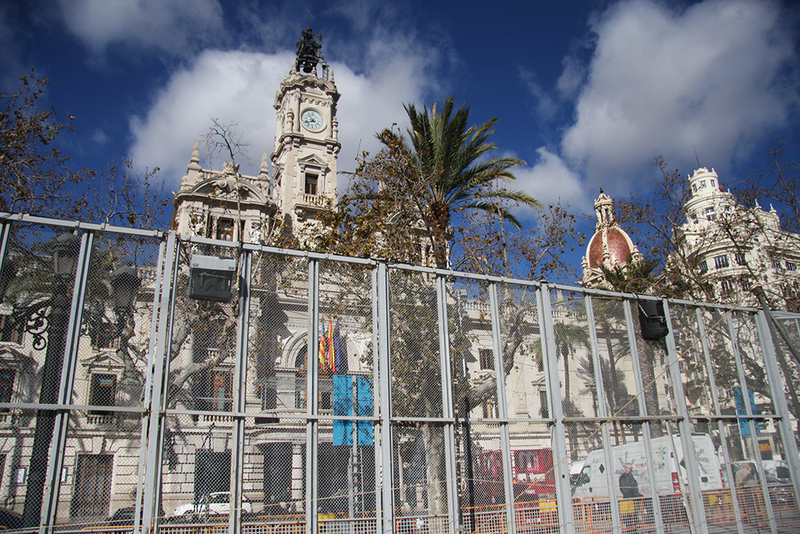 In the fires area, bounded by the metal fencing that indicates the area in which the mascletà is installed and which is restricted access only for pyrotechnic teachers and their teams, there are a total of 16 boxes WPL Work Pro and 4 stages 5A MAX SP 2800.